Mozambique became independent in 1975. After a long and bloody civil war between rebel movement Renamo and the Frelimo government, a Peace Agreement was signed in 1992. With the Peace Agreement, Mozambique adopted the system of multiparty democracy. For a long time, Frelimo and Renamo dominated the political arena in Mozambique, with Frelimo being overwhelmingly dominant and holding an absolute majority in parliament. 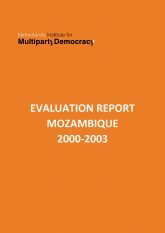 In 2009, the Mozambique Democratic Movement (MDM) entered the political scene and presented itself as a new political force. Despite more than 20 years of peace and relative stability, the civil war between Renamo and Frelimo still shapes the political reality of today. The ruling and main opposition parties still tend to see each other as enemies. This can be seen in the political discourse and makes it difficult for them to reach consensus. Since 2012, the political tensions between ruling party Frelimo and former rebel movement Renamo have been rising, resulting in low-intensity confrontations between the government and the opposition. Mozambique’s rapid economic expansion over the past 20 years, which is mainly a result of the booming natural resources industry, has had only a moderate impact on poverty reduction and the distribution of wealth. This has led to increased social discontent and political confrontations. 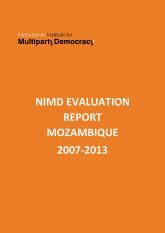 NIMD’s work in Mozambique started in 2000. 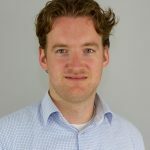 The programme activities mainly focus on trying to reduce the tensions between the parliamentary parties and tries to create space for dialogue and constructive collaboration. The programme facilitates training on dialogue skills for the members of the parties and stimulates the involvement of a broad range of stakeholders (civil society organizations, church leaders and the international community). The programme furthermore aims to contribute to a safe environment for elections by facilitating dialogue sessions between the political parties and the electoral management body (CNE), In order to enable the political parties in Mozambique to contribute in an effective way to electoral activities, NIMD supports the parliamentary political parties to strengthen their organizational and programmatic capacities. The basis for these activities are the multi-annual strategic plans of the parties that were developed with support of NIMD. 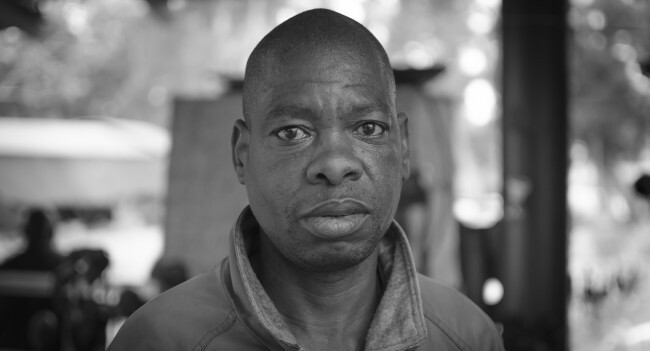 In the current tense political climate and economic situation, the voice of the citizens in Mozambique often remains unheard. Citizens, local authorities, and political leaders often have insufficient capacity and incentives to initiate and maintain constructive and inclusive dialogue and interaction. To foster democratic behaviour and facilitate the creation of space for dialogue and cooperation between citizens and local authorities, NIMD facilitates democracy education programmes at provincial level. The democracy schools in Mozambique promote active citizenship and strengthen citizen engagement in local governance through practical leadership training programmes. By doing so, NIMD aims to contribute to the creation of a new generation of young politicians with democratic values and with the skills to act as agents of change.